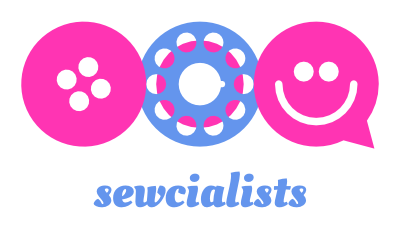 We have some amazing independent sewing businesses here in the UK, and as organisers of the Sewing Weekender, Kate, Rachel & I are lucky to have a number of these businesses sponsoring our event, which takes places in August. I’m always very pleasantly surprised with the generosity of small indie businesses – who, in my personal experience, often tend to be more generous with both their time and money than larger/public companies. Attendees of the Sewing Weekender will be bringing along a project of their choice to work on in our Cambridge venue. Below, some of our lovely sponsors have suggested a perfect project for attendees. And for those not attending the event, these are all great weekend projects. I really enjoyed the variety of projects suggested and hope you will to. The Bettine dress from Tilly and the Buttons is the perfect weekend project! Bettine is one of our best-selling patterns, for good reason – it’s quick to sew up, comfortable to wear, and super flattering. Bettine does not require any fiddly darts, fastenings, or set-in sleeves, so is perfect for beginners or those who want something speedy and satisfying to make! We recently had Kerry of Very Kerry Berry write a guest post for us about the Kielo Wrap Dress from Named Clothing. Kerry said the dress is “fitted at the top, flowing elsewhere and a dress that I could happily sit sewing in, walking Lottie or wear going out in the evening for drinks”, so we thought it would be a perfect all round wardrobe staple. The dress is simple to make, with few pattern pieces and only requires 2 – 2.5m of fabric (we suggest a Cotton Jersey, Cotton Lycra, or for a heavier, warmer, dress a Ponte De Roma). Kerry’s post contains a great walkthrough and some helpful hints and tips to make your dress perfect! I’d recommend the Alder Shirtdress by Grainline Studio. It’s a simple shape that lets you be creative with your fabric choice to come up with many different versions of the pattern. The versions we’ve made here at RK have been in crisp chambrays and our favourite Liberty of London Tana Lawns. Not only is this a great pattern style wise, it also has some great techniques in it with the collar and stand, mitred corner option and button front. These are techniques every sewer should learn and if in doubt, at the Sewing Weekender, we’re sure that these skills can be learnt from one another. The Agnes top from Tilly and the Buttons is guaranteed to become a wardrobe staple and the girls in the shop all have several versions! It’s a really nice project to share tips on as putting the elastic in to create the neckline or sleeve rouching can seem tricky. Usually people have their own way to put a neckband into a jersey top so again, its another good one to get advice on and share techniques. You can find the Agnes Top and a wide range of lovely jersey fabrics online. 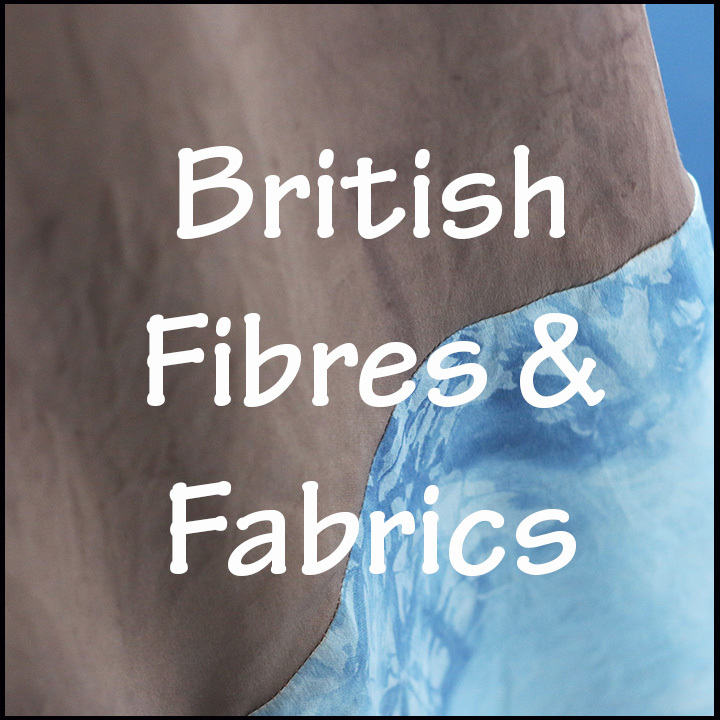 We’ve found the 6mm framilastic to be great for the rouching and we use seam tape interfacing to stabilise the shoulder seams. And why stop at making your own clothes when you can make shoes?! Espadrilles are a great project to get a quick fix of sewing in the summer – and chances are you already have scraps of fabric in your stash that you can use up to make them. All you need are the Prym Espadrille soles (pattern included but remember to add on seam allowance), your fabric (you may want to stabilise it with interfacing), and we recommend using top stitching thread and a leather needle to sew the fabric onto the soles. P.S. attendees & blog readers can get a 10% discount at Guthrie & Ghani valid until Tuesday 16th August with code SUMMERSEW16. 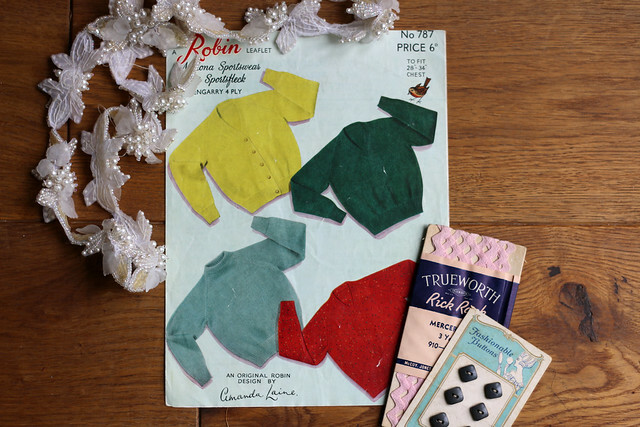 I love to have an oggle at vintage sewing patterns and books, so why not dig out some gems from your collection to inspire us, or even bring along a project that is on the go? Share your experience of vintage styles, techniques and fabrics, or explore how you might interpret vintage details for a more modern look. You can even bring along any unwanted patterns for a swap on the Saturday! 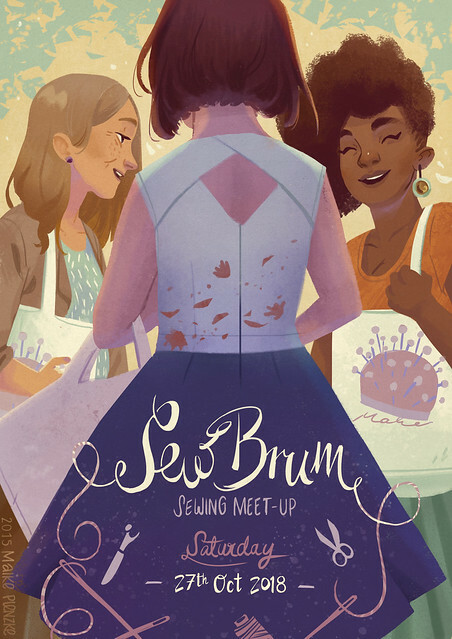 We’ve opted for something that isn’t too challenging for the Sewing Weekender to give you time to mingle, make new friends and enjoy the sewing! Suitable for advanced beginners, the Stowe Bag, by Grainline Studio & Fringe Supply Co. is ideal, as it can be cut out and sewn in less than a day, plus it makes the perfect project bag for yourself, or a lovely gift for a friend. Our fabric of choice would have to be one of the handwoven Ikats that we’ve sourced here at The Draper’s Daughter; there’s either the Black Zig Zag design shown here, or the Abstract Stripes design in tones of Aqua, Teal & Navy. The Freehand Batwing Top from Chinelo Bally’s book Freehand Fashion (published by Pavilion) is a quick sew that uses Chinelo’s signature freehand method. The project can be made in a couple of hours and can be jazzed up by using a fancy fabric such as velvet, can be embellished for extra wow factor, or made in a more casual fabric for lazy-day chic. This project is so versatile and so quick to make, and it’s ideal for getting you into a cordial relationship with stretchy fabric. Chinelo recommends a two-way stretch fabric, because it is easy to handle and is more predictable, fit-wise. This top can also be made as a tunic or a dress. 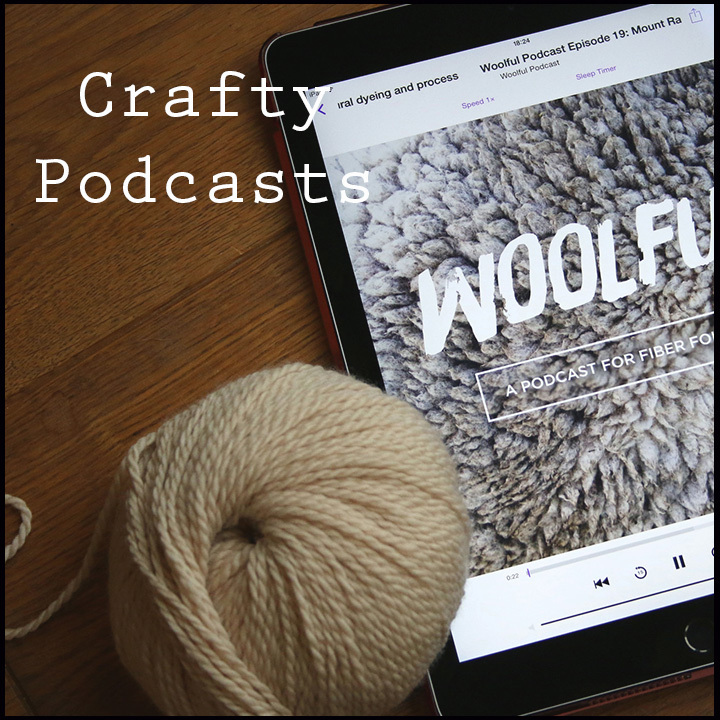 Subscribe to the Pavilion Craft newsletter and get 20% off all Pavilion craft books (including Chinelo Bally, Merchant & Mills and What Delilah Did). Set your machine up with a thread of your choice, you don’t need anything fancy, in fact I just used the white thread I use for tacking things. Start with your first shape, feed it in under the foot and sew through the middle of it as you get to the end of the first shape feed in the next shape. Don’t worry if they don’t completely meet, the thread between the two will form a little chain and will let the shapes twist nicely when it’s hung. We love the soft feel of jersey knit as a scarf so we suggest using beautiful Art Gallery Fabric jersey knit and a string of pom poms to create an irresistibly snuggly but stylish Infinity Scarf, using our tutorial. Such a quick project to make, you can whip up several in a weekend – one for every outfit! Choosing a sewing pattern that is simple to complete yet detailed enough to show your signature style, Simplicity’s 6346 pattern, is a perfect choice for any stitcher looking to showcase their skills. This flared skirt pattern includes midi length or mini skirt options, with button front closure and zip detailing. P.S. 6346 is one of the patterns included in this year’s Simplicity Sewing Challenge competition, entries close 31st August 2016. Adam Ross Fabrics are delighted to be sponsoring the Sewing Weekender as we love to hear how our fabrics are put to use. Of course there are a number of things you can make with the fabrics we have provided you with, but how great would it be to whip up a pin cushion which you can use this weekend? You can also make a small transportable pouch to keep some of your goodies in from your complimentary gift box and pop into your handbag. Here, we also love the idea of personalised items, so why not make something for a family member or friend, embroidering their name onto the front. There really are endless opportunities. 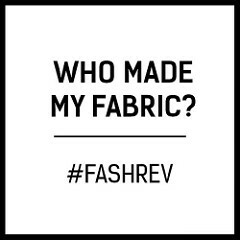 If you wish too, you can also swap fabrics with each other but we would love for you to talk to each other about your fabrics. Hope you have a great weekend! I’d suggest Hot Patterns 1142 – Fast & Fabulous Fiesta Knit Top. Cut this stunning little top out during the day and you can wear it out that evening! This easy-peasy dolman sleeved top is designed for soft, drape-y knits with a little stretch, rayon or silk jersey (just 1.85M of 150cm fabric). Make this in a simple solid colored knit for an elegant look, try a groovy print for a funky feel, or go for a dazzling sequin-smothered knit. This great top is perfect for those casual-dressy looks; you’ll wear your top with a slim pencil skirt, a skinny pant or-of course!-your favorite jeans…and you’ll look quite, quite fabulous. From the moment I booked my tickets for the sewing weekender I started wondering what I should make and I knew it would involve our gorgeous black and green John Kaldor Hermione fabric, which I have had on my hit list since we received it. By the end of August we will all be starting to think about our Autumn/Winter wardrobes so I thought this black and green (apparently the colour for AW16) medium weight fabric would be perfect for those Indian Summer days and evenings we always seem to have before ‘proper’ winter kicks in. I haven’t yet tackled a pair of trousers and I’m always up for a sewing challenge. I’d normally go it alone with advice sought from my sewing guru and founder of Sew Essential, Angela, so I thought the Sewing Weekender would be an ideal opportunity to try something new and give Angela chance to focus on her own sewing projects! In the end it was a toss up between this Simplicity 1114 jumpsuit or these McCalls 7415 culottes from their new season collection. I decided to go for the culottes. We have some fabulous John Kaldor plain black crepe I could use to make a nice top to go with them and in the spirit of my sewing career so far I wanted to push myself to try out a new style, something I wouldn’t normally wear. With the culottes revival being relatively new I thought I’d be fashion forward and get on board early. Depending on how much sewing time we get I might even be able to start work on the top. I thought I could adapt Butterick 5948 view F (which I’ve previously made) by making a sleeveless version with a smaller pocket to recreate the silhouette on the pattern packet and pair it with strappy high heeled black sandals. Choosing to make separates is a win-win approach to a weekend project because it means you have plenty to keep you busy and won’t run out of things to do. You will be thrilled if you complete both projects, but satisfied if you only manage complete one. Can’t wait to see you there! Disclaimer: All of the companies above are sponsoring The Sewing Weekender. This blog post was not a condition of their sponsorship – I asked them to contribute as a gesture of gratitude for their support of the event & because I was interested to see what projects they would suggest. Categories: meet-up, Sewing, Sewing Weekender | Tags: #sewingweekender, holiday, meet-up, project, quick, sew, Sewing, weekend | Permalink.